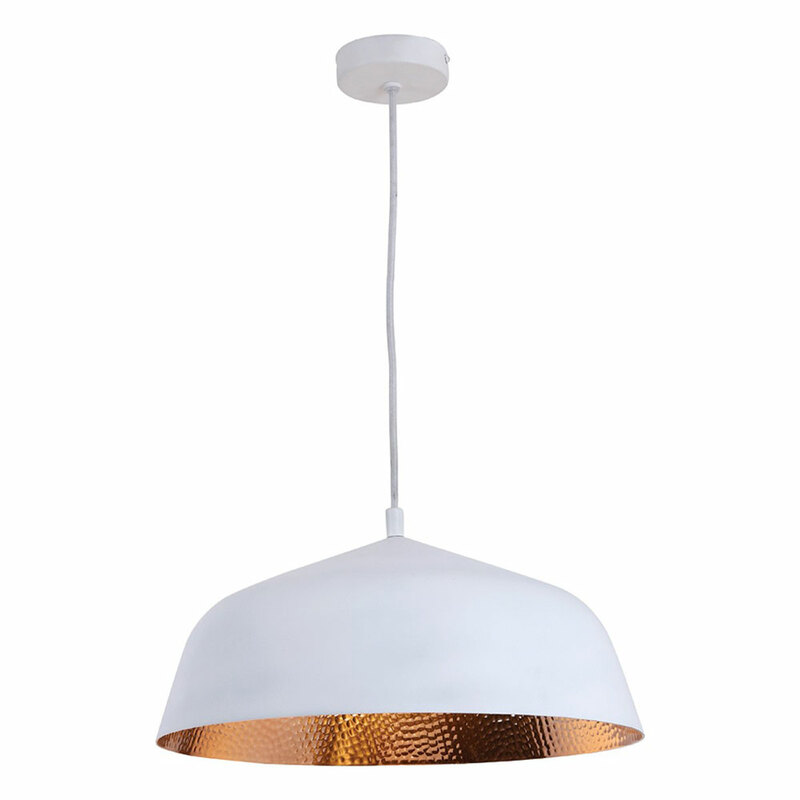 This striking one-light pendant features a soft matte white surface with a hand finished hammered copper inner. Suspended by a black braided cable. It can be fitted at a minimum height of 25cm and a maximum height of 120cm. Shown here in White, it is also available in Black. Filament bulb available to order separately.